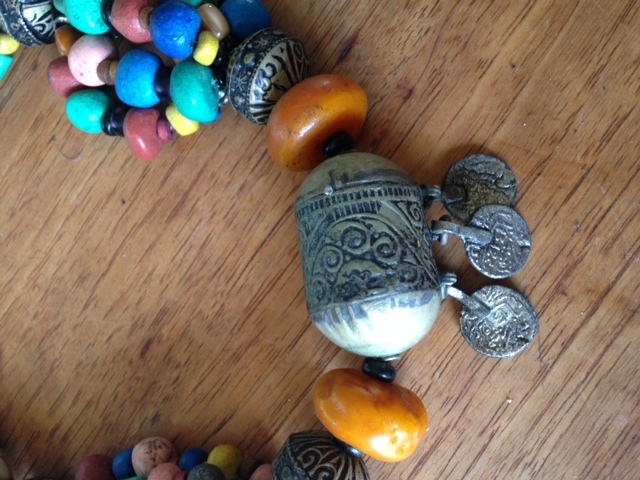 In this post: a stunning collection of Moroccan tribal jewelry for sale. We traveled the souks of Marrakech and Essaouira to find these treasures — several stunning necklaces and one outstanding filigree Berber bracelet. All are vintage! We sat on leather poufs at the feet of Moroccan traders who served us glasses of hot, sweet mint tea. We haggled Moroccan-style to get the best possible prices and selected the most original, authentic antique pieces from the most reputable merchants who locals know and trust. We went right to the source and are offering these treasures to you just in time for the holidays. Please send me an email with your mailing address, if you would like to purchase a piece. 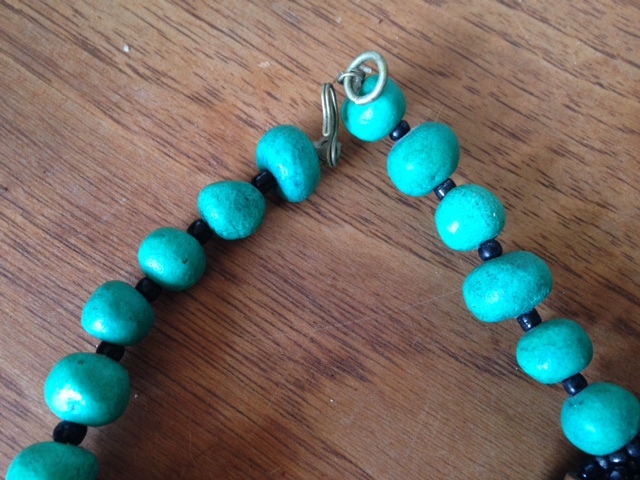 I will send you a PayPal invoice, add mailing costs and the piece will be on its way to you pronto. Oops, as fast as a sheik on a camel. 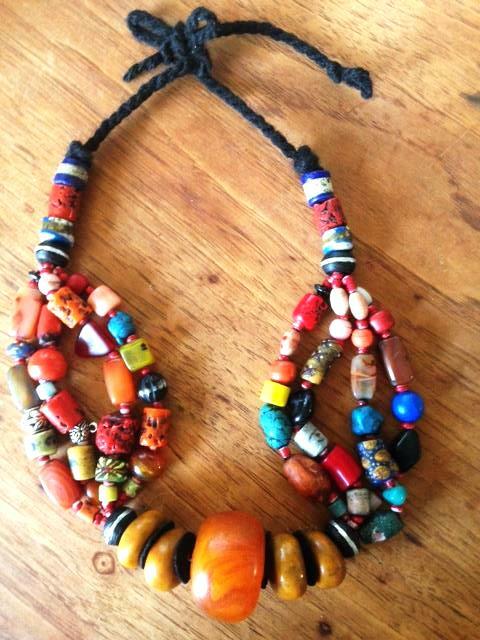 Stunning, hand crafted, vibrantly colored four strand antique Berber tribal necklace with amber. Circa 1940s. 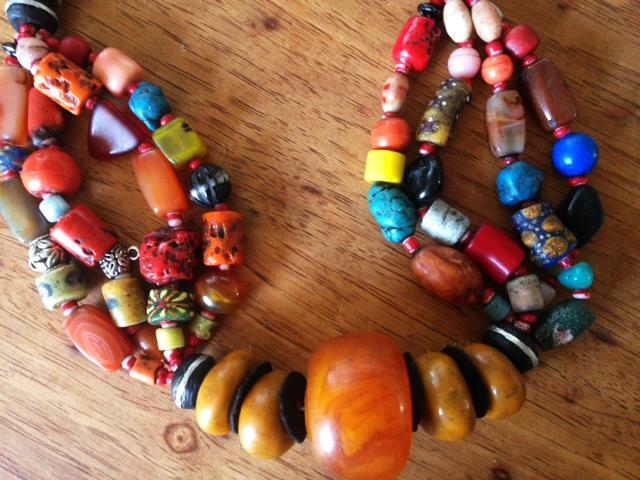 Pink coral, red coral, orange coral, turquoise, intricately painted wooden trading beads, hand rolled ceramic beads, engraved Berber silver, jet. Traditional yarn tie. 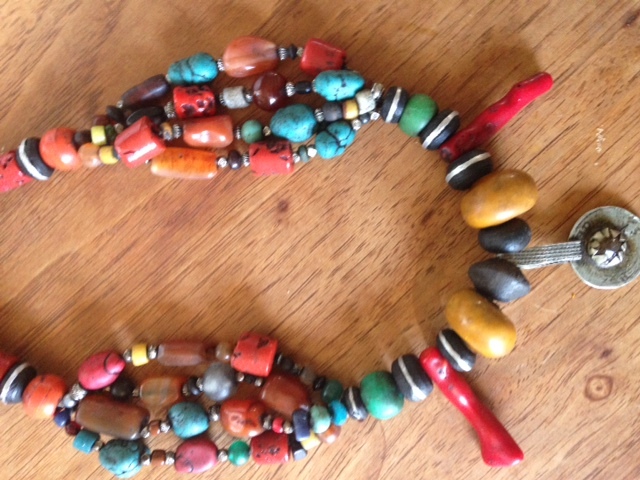 Rare, exquisite multi-pendant antique tribal necklace. 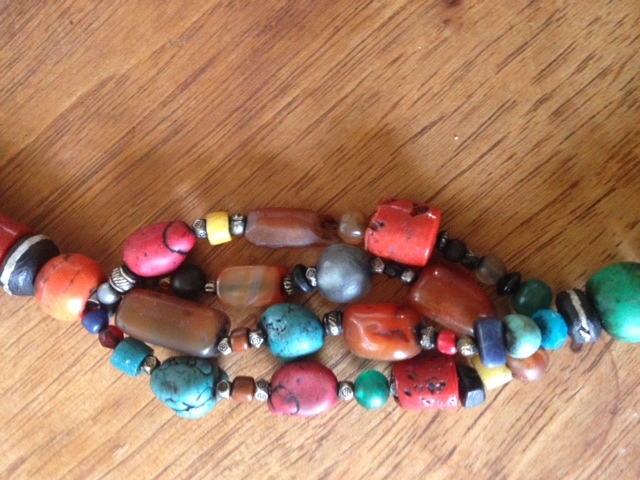 Four perfect strands of etched-pattern Berber silver, amber, turquoise, red coral, orange coral, hand rolled ceramic and painted wood beads. Antique Berber 2 dirham coin pendant, circa 1890s, and 2 red coral pendants. Traditional yarn tie. Length: 24 inches, adjustable. Weight: 195 grams. $310. 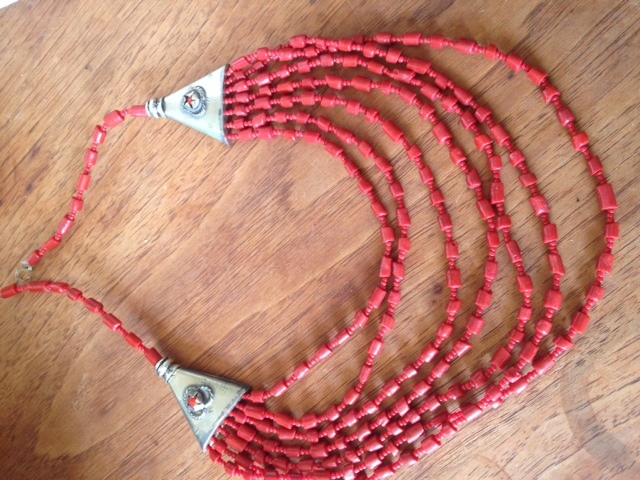 Antique red coral and red Venetian glass beads with Tuareg Berber silver desert medallion. Circa 1940s. Length: 20 inches. Weight: 95 grams. 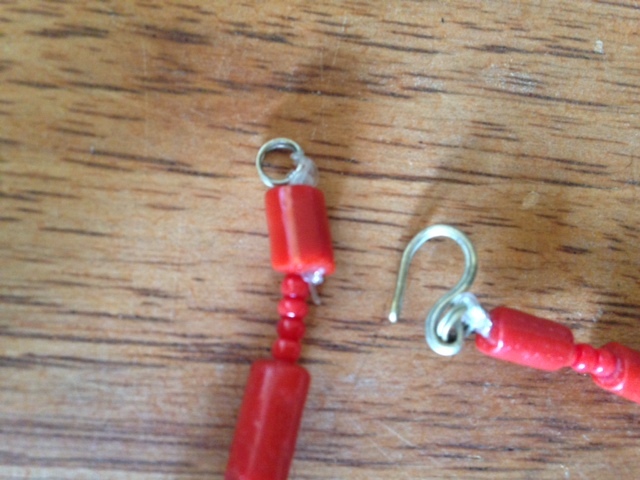 Old clasp reinforced with invisible clear wire. $225. A show stopper. 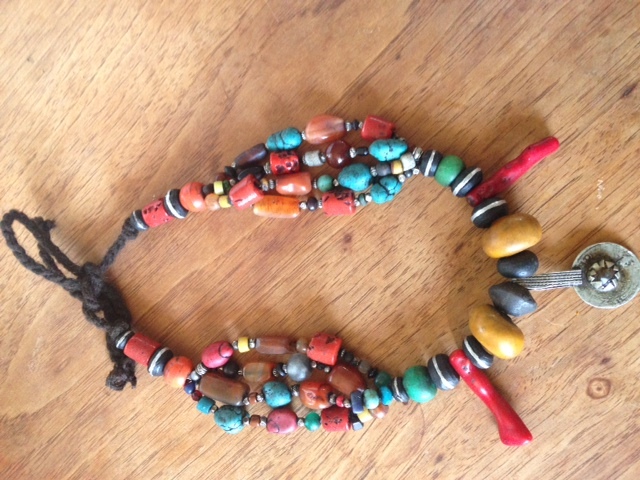 Remarkable antique Desert Tribal Necklace “Green Beads.” Circa late 19th century or earlier from the Ida ou Sental Berber tribe, southern Morocco. 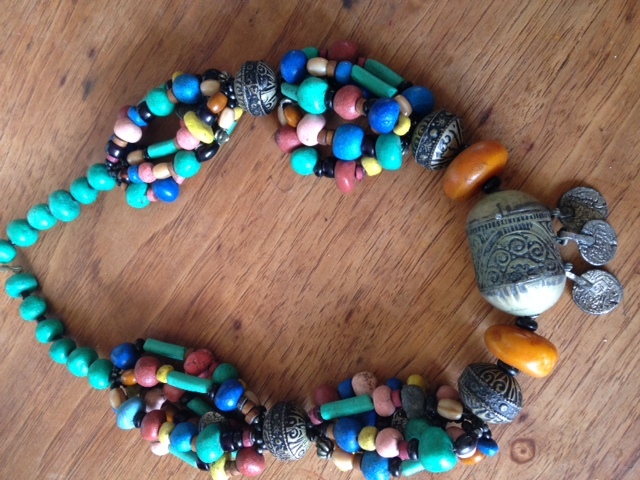 Six beaded strands with old brass and Berber silver desert medallions and coins. An elaborately engraved antique brass centerpiece medallion with Berber silver coin pendants symbolizing Circle of Life. 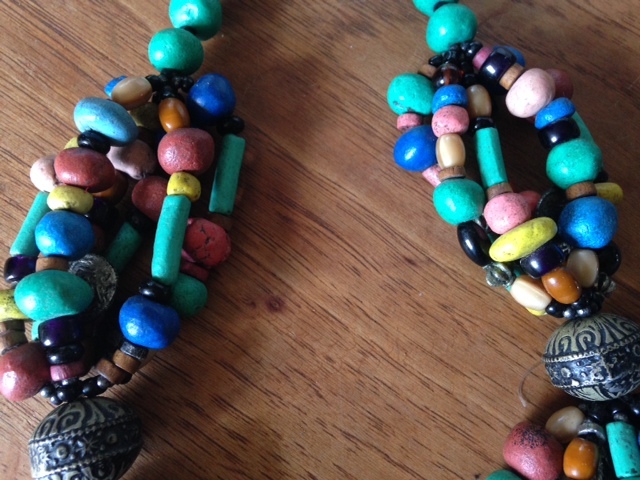 Hand painted wood trading beads and jet Venetian glass beads. 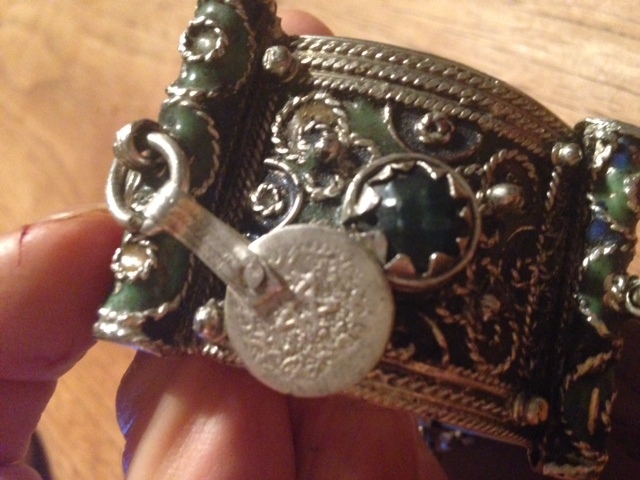 INTRICATE filigree Berber Silver Tribal Bracelet from the mid-Atlas Mountains. Green and yellow enamel, red and green original Venetian glass trading bead inserts, bezel set. Six Berber silver coins with 5-pointed stars. 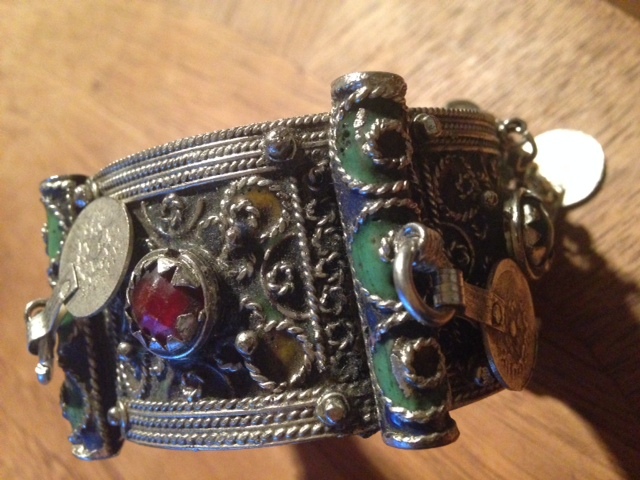 This entry was posted in Jewelry and tagged amber, antique, Atlas Mountains, Berber, bracelet, coral, jewelry, Jewish, lapis lazuli, Morocco, necklace, silver coins, tribal, vintage. Bookmark the permalink.